Designed on the occasion of Regina Bradley Luchtel's 80th birthday celebration, this T-shirt was worn by all party attendees. 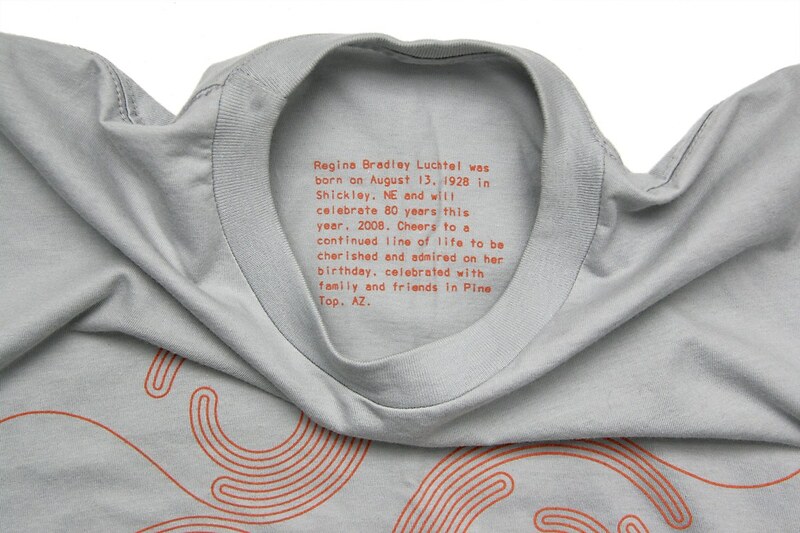 Inner T-shirt copy: Regina Bradley Luchtel was born on August 13, 1928 in Shickley, NE and will celebrate 80 years this year, 2008. Cheers to a continued line of life to be cherished and admired on her birthday, celebrated with family and friends in Pine Top, AZ.